Join us in the Abelson Auditorium on Sunday, September 30 at 4:45pm for a conversation about issues of urban revitalization and neighborhood economic development in Chicago and Radio Golf. Speakers include Leon I. Walker (from neighborhood-focused commercial real estate developer DL3 Realty) and Ron OJ Parson (director of Radio Golf). Free admission, no reservations necessary. The discussion will last approximately 1 hour. Leon I. Walker spearheads cutting-edge community development strategies that have generated thousands of jobs and brought services to food and health care deserts in Chicago. Mr. Walker has deployed over $100MM of New Markets Tax Credits and pioneers utilization of new financing tools, including the Whole Foods anchored shopping center in Englewood. He works closely with municipalities, anchor institutions, and Fortune 500 companies to execute development strategies that are sensitive to a neighborhood’s character while providing an economic stimulus and improving quality-of-life for local residents. Current projects include a new Jewel-Osco grocery store in Woodlawn, and the nation’s first Museum of Gospel Music in Chicago’s historic Bronzeville neighborhood. 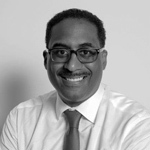 Previously, Mr. Walker worked in corporate real estate services at Jones Lang LaSalle and real estate capital markets at Citicorp Securities. He is a graduate of the University of Chicago’s Law School and Booth School of Business, and received his Bachelor’s degree from the University of Michigan. Ron OJ Parson hails from Buffalo, New York and is a graduate of the University of Michigan’s professional theatre program. He is a Resident Artist at Court Theatre, former co-founder and artistic director of the Onyx Theatre Ensemble, and co-founder of the Beyond the Stage Theatre Project. Ron is a company member of TimeLine Theatre, and associate artist at Writers Theatre and Teatro Vista. He is the director of Radio Golf at Court Theatre, where he has also directed six other plays by August Wilson. 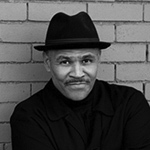 In Chicagoland, Ron has also worked with Black Ensemble Theatre, eta Creative Arts Foundation, Chicago Dramatists, Congo Square, Oak Park Theatre Festival, Goodman, Victory Gardens, Northlight, Chicago Dramatists, Urban Theater Company, Steppenwolf, and City Lit Theatre. Regional theatres include American Players Theatre, Virginia Stage Company, Portland Stage (Maine), Studio Arena Theatre, Roundabout, Studio Theatre (DC), Baltimore Center Stage, Actors Theatre of Louisville, Wilshire Theater, Coronet Theatre, The Mechanic Theatre, Milwaukee Rep, St. Louis Black Rep, Pittsburgh Public Theater, Pittsburgh Playwrights Theatre, Geva, Signature (New York), The Alliance Theatre, South Coast Rep, Kansas City Repertory, and Pasadena Playhouse. In Canada, Ron directed the world premiere of Palmer Park at the Stratford Festival. Ron is a member of SAG-AFTRA, SDC, and Actors Equity.